Google said not to rely on Google Maps to search for Malaysia Airlines Flight MH370, the plane that disappeared leaving Kuala Lumpur on Friday. A large number of people indicated that they were trying to search for the missing plane via Google Maps or its Street View feature, but a spokesperson with Google said not to do that. “Yes, the images may be there, but it is not real time satellite images as the images may have provided to us several weeks or months ago,” a Google Malaysia spokesperson was quoted by The Star as saying. Officials were searching for the plane on Tuesday and have found little in terms of clues. Some people told the Star as well as the Inquirer newspaper that they found the plane’s wreckage. On Twitter, some users also indicated that they found it. Pictures sent to the paper show planes above the ocean. “These images which are captured would sometimes contain images of airplanes usually on its flight path and cannot be presumed as a possible crash site,” the spokesperson told the Inquirer. 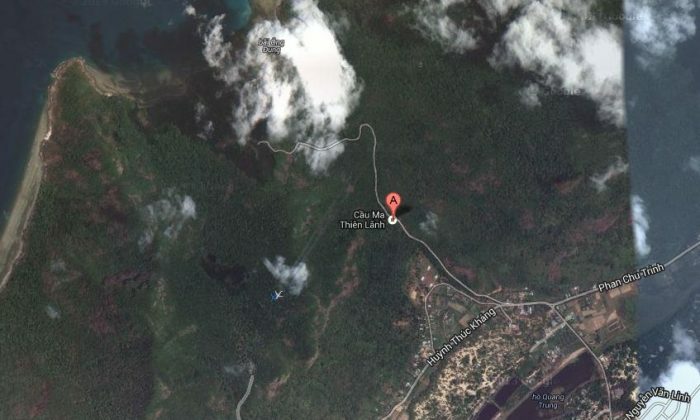 A concerned caller told the Inquirer that a location on a Vietnamese island located southwest of Ho Chi Minh City was where the airplane crashed, using Google Map as the source. “The world is watching how we are reacting to this tragedy. They are not only scrutinising the authorities but also ordinary citizens and a wrong move can reflect badly on the industry and the nation,” he said.